OECD Environmental Performance Reviews provide independent assessments of countries’ progress towards their environmental policy objectives. Reviews promote peer learning, enhance government accountability, and provide targeted recommendations aimed at improving environmental performance, individually and collectively. They are supported by a broad range of economic and environmental data, and evidence-based analysis. Each cycle of Environmental Performance Reviews covers all OECD countries and selected partner economies. The most recent reviews include Chile and France (2016). 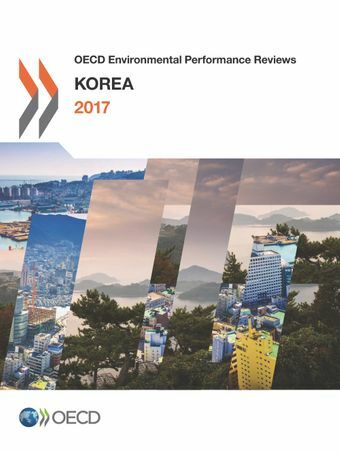 This report is the third Environmental Performance Review of Korea. It evaluates progress towards sustainable development and green growth, with a focus on waste and materials management, and environmental justice. Korea has improved access to environmental services and become a world leader in climate change mitigation technology. However, it will need to accelerate its green growth reforms to temper the effects of a decade of vigorous economic expansion that has pushed up energy use, resource consumption, greenhouse gas emissions and air pollution. OECD 환경국의 Simon Upton 국장은 서울에서 열린 회의에서 보고서의 내용을 발표하며, “한국은 야심적인 녹색성장 정책을 수립한 일등국이었지만 지금은 국제사회와의 기후 목표를 추진하여 자국의 비전을 실천할 때”라고 언급하였다. Upton 국장은 또한, “기술 선도국인 한국은 저탄소 경제로의 전환으로 많은 혜택을 누리기에 적절한 위치에 있으나, 이는 청정기술 혁신가에게 보상을 제공하고 오염유발자를 처벌하는 저탄소 정책 개혁이 이행되는 경우에만 가능할 것”이라고 지적하였다.